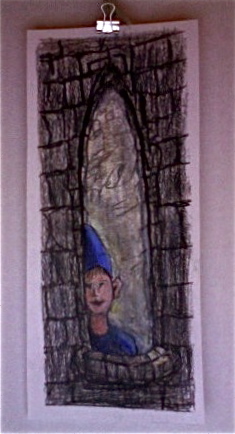 Tom, Boy Wizard, is colored pencil over pencil drawing copy. This entry was posted on March 23, 2013 at 3:27 am and is filed under Blogroll, colored pencil, Painting Drawing, Revolution in Arts and Media, tom hendricks. You can follow any responses to this entry through the RSS 2.0 feed. You can leave a response, or trackback from your own site. The Window was made for the hat!